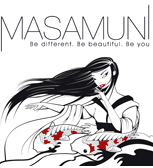 Hayley & her team at Masamuni would like to welcome existing and future clients to our exciting new salon. With over 15 years experience in hairdressing Hayley is a an awarded schwartzkopf colour master colour correction expert and wedding hair up specialist. All Stylists are Schwartzopf colour academy trained and are educated at Schwartzkopf training centres at least every three months to ensure that Masamuni leads the way with the latest in colour technology. Our new colour ranges Essensity and Senea offer a breakthrough for clients with any allergies and scalp sensitivity to finally be able to have the hair colour they desire – with no ammonia and harsh chemicals Schwartzkopf saves the day! We have two state of the art massage basins for ultimate comfort and relaxation. We offer a wide range of back wash treatments, collagen conditioning treatments, extreme damage treatments. Why not spoil yourself with our special champagne diamond and cashmere treatment. Having your hair done is a treat after all! Masamuni also offers a barbers service at competitive prices and, for the more discerning gentlemen, funky cuts and colours/foils. We offer a wide range of hair treatments at Masamuni for both ladies and gentlemen. Please feel free to contact us or call into the salon for a free consultation. Appointments are not always necessary but we would recommend making an appointment to avoid disappointment. Late night appointments are available on request. We Look forward to seeing you soon.